Jean-Baptiste Grenouille is an uncommon character who is made for people that love different and excellent jobs, Grenouille is a particular and, most of all, a bizarre man whose life is not a banal one and whose desires are not the one that people use to have. In this magnificent book Patrick Süskind go back to the Bildungsroman that is a literary genre that focuses on the psychological and moral growth of the protagonist, that in this case is called Jean-Baptiste Grenouille, from youth to adulthood and in which change is thus extremely important. 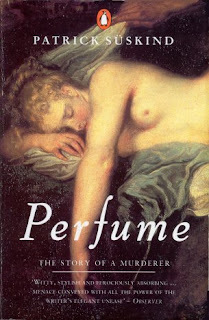 El Perfume is narrated with unique and exquisite description, that makes this book one of the best suspense books ever done. Coldness is the word that describes Jean-Baptiste that is an abominable man whose mind is a kind of wicked, however with that wicked mind he can do a lot of astounding things and, the most important fact is that, those things are done by a zealous guy that during all his wretched life is looking for his place in that world that does not seem to be made for him. Thank you teacher, this is just a draft, we are going to take in account those important aspects.